France has been ruled by monarchs from the establishment of Francia in 486 until 1870. All these kings, and the Dukes, Marquises, Earls and Barons that surrounded them, left an huge amount of French castles, over 300 can be found in the Loire Valley alone! The first rulers of Francia where the Merovingian dynasty, founded by Childeric I and his son Clovis I who was the first king of the Franks to unite all of the Frankish tribes under one ruler. The Merovingian dynasty lasted until 751, when Pepin the Short, was crowned King of the Franks. 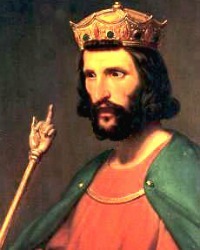 Pepin was the first of the Carolingian dynasty who than ruled France until 987 (with some interruptions). 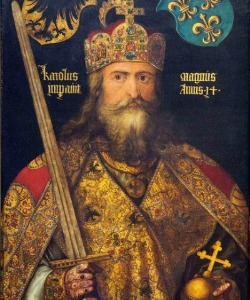 The most famous of the Carolingian kings was Charles the Great, or Charlemagne, who united most of Western Europe during his Reign from 25 December 800 until 28 January 814. The third royal house to rule France was the Capetian dynasty. The male-line descendants of Hugh Capet, ruled France continuously from 987 to 1792 and again from 1814 to 1848. More known names of this house were the branches Valois, who ruled after 1328 until 1589 and Bourbon, who ruled until the end of the monarchy. The famous Louis XIV, the Sun king, Louis XV, his great-grandson, and Louis XVI who was beheaded under the guillotine during the French Revolution, all where members of the house of Bourbon. When imprisoned in the Temple in Paris, his guards used to call the king Citizen (Citoyen) Louis Capet, to emphasise that without his titles he was just the same as everyone else. 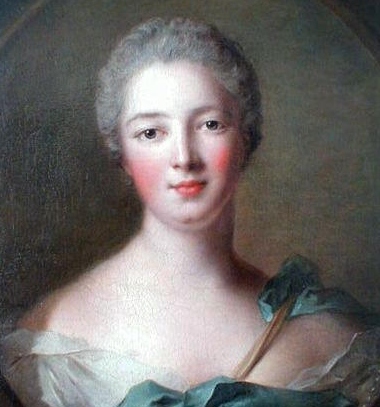 The dead of king Louis XVI in 1793 was not the end of the house of Bourbon. After the French revolution power switched between the house of Boaparte and the Bourbon’s number of times. Napoleon Bonaparte crowned himself emperor of France in 1804, starting the first French Empire. After the abdication of Napoleon and his exile in 1814 during the first Restoration, the House of Bourbon was put back on the throne. This first restoration did not last long, since Napoleon escaped from Elba and got back to Paris on 20 March 1815. He lasted for 100 days until he was captured again and send of to Saint Helena, in the Atlantic Ocean, 1.870 km from the nearest coast, so his changes of fleeing again where minimized. 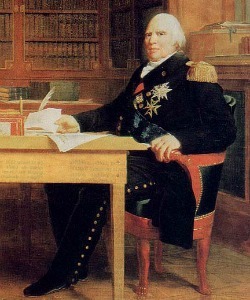 Louis XVIII was reinstated and ruled as King of France and Navarre from 1814 to 1824, the period known as the second restoration. He was the brother of Louis XVI and the uncle of Louis XVII. He had spend twenty three years in exile since the French revolution. Louis-Napoléon Bonaparte, the nephew and heir of Napoleon I took the throne as Napoleon III on 2 December 1852. He started the Second French Empire which lasted until 1870 when he was defeated in the battle of Sedan and went in Exile to England where he died in 1873. France became a republic for the third time and the time for kings and emperors was definitely over. The Kings and nobility of France had a very lush livestyle and left many French castles and palaces. French Castles come in a wide variety, from medieval castles to rococo, baroque or renaissance palaces. A castle or castle complex is called a chateaux in French. I have of course added the most famous one, the Palace of Versailles, were where large crowds of tourists standing in line for a visit every day. You can go there yourself or book a guided tour from Paris and skip the line! I have also added some charming small palaces like the palace of Saint Fargeau, where you pretty much just wander through without encountering another visitor. The review on this site is by no means complete. I hope to visit many more palaces and to add on this list! If you are staying in Paris you can take a Loire Valley Castle Tour which wil take you to the famous Palaces Chambord, Amboise and Chenonceau in the Loire Valley, "Garden of France”. 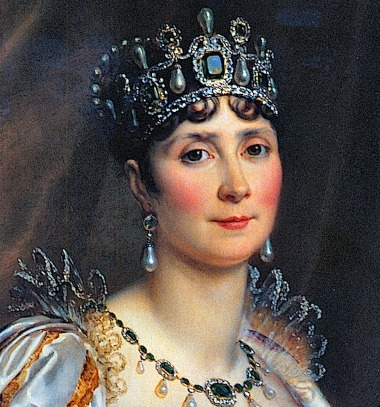 Here are some stories about the French kings, their queens and their mistresses. 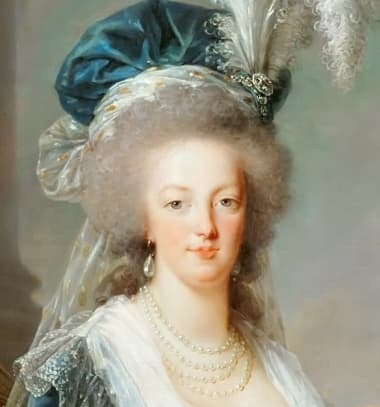 In France the favourite misstress of the king had the official title Maîtresse-en-titre. As long as they could hold the affection of the king they were sure of an adequate income, titles, beautifull clothes and nice appartments close to the king's room. Visiting a palace or castle is great, but sleeping in a royal resicence is even greater! There are many French Chateaus that are transformed into French Caste Hotels. You can stay in a bed & breakfast or rent a cottage in the garden of still inhabited palaces where your host could be the Count himself! Another option would be to camp in the castle garden, surrounded by the charmes of castle life. Whatever you choose, it will be a unique experience!